There have been concerns about BPA, even expressed by the FDA, about the potential effects of BPA on the brain, behavior, and prostate glands in fetuses, infants, and young children. Animal studies have shown possible hormone disruption from BPA, possibly increased risk for cancer, and possibly obesity and diabetes. 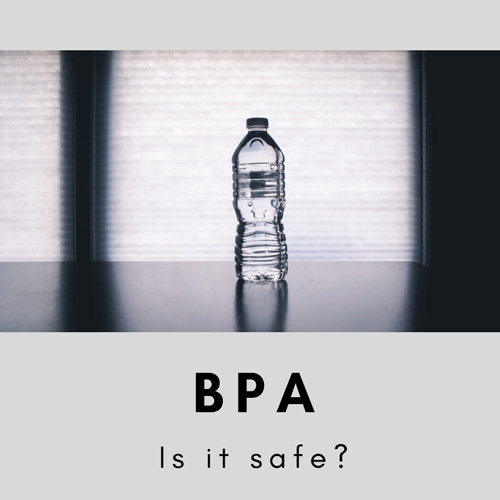 BPA is everywhere and it is hard to avoid exposure as it is contained in so many items, ranging from medical devices, dental sealants, water bottles, and the lining of canned foods and drinks. In 2008, due to concerns about safety, manufacturers stopped using BPA in baby bottles and sips cup for children. As manufacturers replace BPA with other chemicals, how do we know these are safe? Do studies on rats always translate to how these chemicals affect humans? What concentrations are safe and is it a dose responsive effect? I hope we will get some answers, but given the concerns so far and the fact that this highly anticipated study may not deliver the "clarity" it promised, what can we do? The only way to avoid or minimize exposure to BPA and other chemicals used in plastic is to AVOID PLASTIC. Remember, even if purchasing BPA-free plastic, there are other chemicals present in plastic. Overall, reducing plastic use could not only be beneficial for our own health, but that of generations to follow and for the environment too.